Angela Brown’s Top 10 holiday cleaning tips will get you ready for relatives coming home. 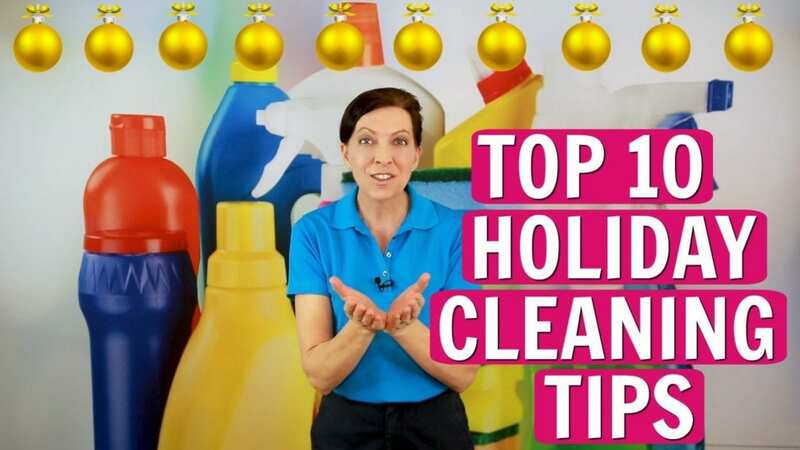 Angela Brown, The House Cleaning Guru shares her #Top10 “how to” holiday cleaning tips in this cleaning video. Hey there, I’m Angela Brown, and this is Ask a House Cleaner. This is a show where you get to ask a house cleaning question, and I get to help you find an answer. You can find this and 400 other answered questions in this series on our YouTube channel. 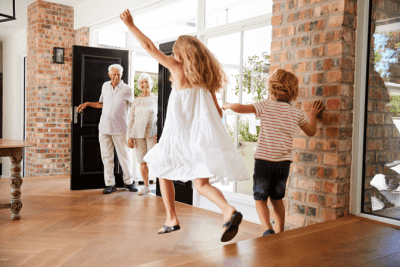 Let’s talk about holiday cleaning tips to get your house ready before your relatives arrive this holiday season. Alright, onto today’s show, which are tips to get your house ready for the holidays before your relatives arrive. Alright, now let’s pretend that your mother and father-in-law are arriving with a hotplate of mac and cheese for your Christmas dinner. Okay? They’re going to show up at your porch and what is the first thing that they’re going to see? It’s the front door. It’s the porch area and the front door. 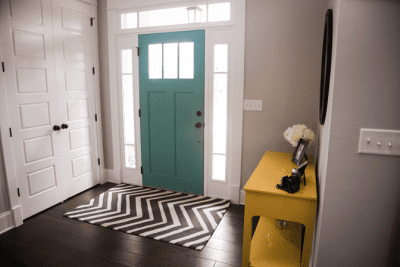 The first thing that we want to do to tidy up your space and make sure that the entryway is pleasing. 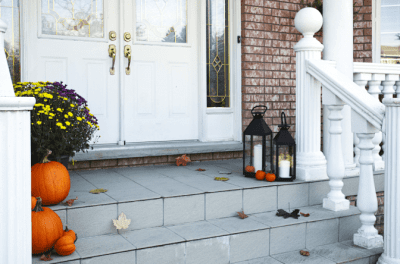 You can use a blower to blow all the leaves off the front porch. And you can wash the window transoms around the door. Now, you can use a duster or a hot, wet rag, to wipe the door down. Now, that rag is going to be super mucky when you’re done. But it’s going to pick up outside debris, and weather, and dust, and dirt and grime. Now, when they knock on that door, it’s going to be nice and clean and pleasing. Then the door opens, and they come into your front room. What do they see? Okay, they see the front entryway. 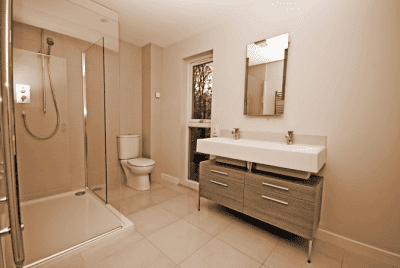 You want to make sure that once you open the door, that space right inside is clean and tidy. You can remove shoes out of the way. Hang up the coats on the coat rack. You want to clean everything up, so as they come in, it’s this embracing, warm feeling. A nice light in that area is also great. Maybe a soft, dim light that creates some ambiance, kind of this warm, welcome for the holiday. There you go. It’s an exciting entry. Now, they got this hot plate of mac and cheese. The next place they’re going to go is to the kitchen. Now, if you were the mother-in-law, look around the room the way she’s going to look at your kitchen. What is she going to see? 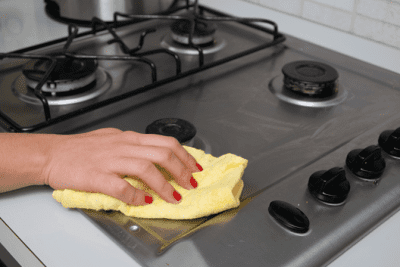 Make a kitchen cleaning checklist. 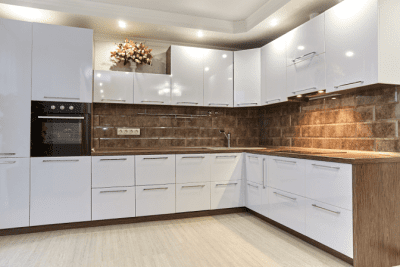 Is there dust on the plants or knick-knacks that are above your cabinets? If that’s the case, you got to dust all that stuff. Is she going to complain that there are fingerprints on the fridge and on the microwave and on the dishwasher? Are these things that she’s going to notice? If they are, you want to clean and tidy up all those things. Now, a great tip is to make sure that you use some stainless-steel polish. And polish all your stainless-steel appliances, so they just gleam and they distract attention from the other things, right? The other thing that you want to do is you want to make sure that your dishwasher is tidy. So that if she helps load the dishes, she’s not judging the inside of the dishwasher. Wipe the seals around the doors, and if there’s stuff that has leaked down from the little pocket of the soap, wipe all that up. Maybe even run a dishwasher cycle with a cup of vinegar. That will help clean everything out and keep everything tidy before the meal that you’re about to serve. Alright, now that you’re in the kitchen, you want to make sure that before your relatives arrive, that you clean the refrigerator. You want to pull out all the old, expired food because we all have stuff in the fridge that we don’t know that we had or maybe we haven’t used it in a while. Remove food that’s close to expiring. This is a simple fridge cleaning hack. Maybe you opened that bottom drawer and there are some onions in there, that have grown these long green shoots. It’s okay to use or toss that stuff. Make some space, so that if there are any extra treats or leftovers, they can go back in the fridge and you have space. Alright, now that your kitchen is all tidy and everything’s looking pretty good, it’s time for a once over to declutter the house. Use the one-touch method. As you walk through the house, you want to touch stuff just once. Instead of making piles of stuff and then moving the stuff room to room, just put it away the first time. Put all the books away in the bookshelves. Take all the papers and all the mail, and take that all to the mail stack. Hang up the clothes in the bedrooms. Take all the coats and hang them up on the coat rack. You only want to touch stuff once. Now, if you have a two-story house, you can merge trips with a stair’s basket. At the bottom of the stairs keep a decorative basket. When you find things that go upstairs put them in the basket. Every time you go upstairs take the basket and use the one-touch method to put stuff away. The basket stays at the top of the stairs. And you’ll repeat the process for coming down the stairs. Bring all your treasures up in one trip so you’re making the best use of your time and energy. Alright, now your house is starting to look pretty nice and shiny. You’re going to do a once over of the house, okay? You want to hit all the light switches. Now, when we go in any room and flip on the light switch, we don’t just hit the light switch. We kind of hit the wall near the light switch, so that we can kind of find the light switch. There’s this little area around the light switches that have fingerprints and maybe there’s some food, or who knows what’s on your hands. But, there’s a little area around the light switch and the light switch. You want to make sure that you clean that area and sanitize that in every room of the house. Alright, along with the light switches are lights. 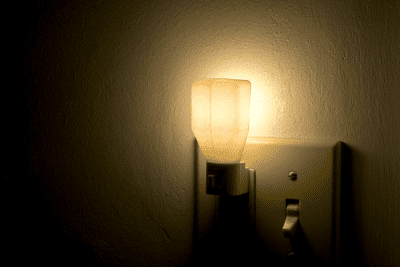 To create ambient lighting, we want to make sure that we have those little plug-in nightlights. Because we don’t want an elder parent, for example, to get up in the night and to trip on something because they couldn’t see their way to the bathroom. You want to make sure that you have plenty of little night lights around the house so that as the lights go out, they can still see their way around. Alright, now, speaking of your relatives staying. We want to make sure that the bathrooms are clean. Because people are going to be spending most of their time in the kitchen and the bathrooms at your house. That is where people hang out. In the bathrooms, you want to do a top to bottom, left to right, sweep of the entire bathroom. You want to make sure there are no cobwebs that they’re going to see while they’re sitting there on the john looking around. You want to make sure that there’s none of that. Okay. Then you want to make sure that all the mirrors have no lint, no dust, no toothpaste, no smears, no smudges, no nothing. You’ll dust everything and you’ll clean all the vanities. Next, you do want to do what we call staging. This is where you make sure there’s toothpaste, dental floss, q-tips, cotton balls, and shampoo for your guests. You want to make sure you have all that stuff there for them so that they’re comfortable staying in your space. And, you might even consider an extra toothbrush or razor for your guests. Don’t forget to clean the stuff around the toilet. Baskets, shelves, racks, baskets. You can move all that stuff out, wipe it down and renew it. This area tends to collect dust, toys, books, wipes, and sprays. Just make sure to wipe everything down and refill the cans that are empty. This area is important because your company will be spending lots of time here. Make sure it’s presentable. Now, with the bedrooms, you want to make sure that you also stage the guest rooms. 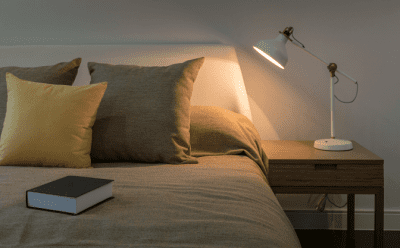 You want to have some ambient lighting, which is a softer light than just a bright, bedroom light. Maybe some soft music or that’s where you have your Alexa Dot. 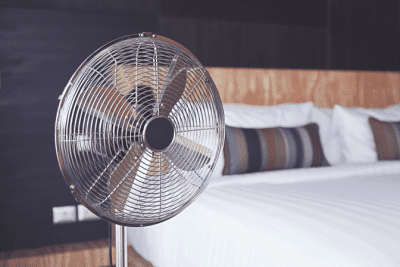 You want to make sure that your bed is fresh with clean linens and that you’ve made the bed. Fluff the pillows and leave an extra blanket in the room. Some guests are too hot, some too cold. An extra blanket will make them comfortable if it’s convenient to find. Add any extra touches that are meaningful to your family. Now, I know that when my family comes to visit, I don’t know why, but they love to sleep all night with the fan on, 365 days a year. We only use in the summertime, but they love it all the time. It must be the sound or something, I don’t know. But, when my family comes, I place a fan in every room, because that is their comfort zone. That’s what they love to sleep with. Whatever’s specific to your family, you’re going to want to have that as well. It might be peppermint incense, it might be music, who knows what it is, but you know your family. Alright. 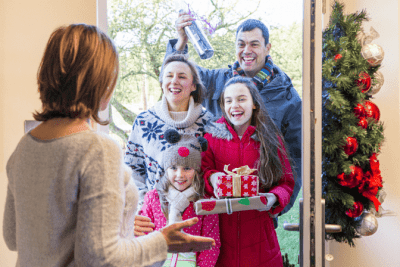 Those are just a few tips to get your house ready this holiday season for the relatives before they come. Alright, I hope that helps you just a little bit. In the notes below, share with me anything I might have forgotten. And if there’s something special that you do at your house before your relatives arrive, I would love to hear your tips. Until we meet again, please, leave the world a cleaner place than when you found it. During the shows we recommend services, sites, and products to help you improve your cleaning and grow your cleaning business. 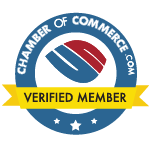 We have partnerships with these companies to provide you with discounts, and savings. By clicking on and buying from the links in the show notes, we may receive a commission which helps pay for the production costs of the show. Support the show so we can continue to bring you free tips to improve your cleaning and help you grow your cleaning business. THANK YOU! Learn how the show came to be, interesting facts about the show host, and other frequently asked questions about the show. HouseCleaning360 – Referral database of the world’s most prominent home service providers and the homeowners they serve. My Cleaning Connection – Your hub for all things cleaning. Savvy Perks – Employee benefits for your employees.